The most controversial bill passed through the Senate on September 14 and is called The No Human Trafficking on Our Roads Act, S1532. The bill was sponsored by Sen. John Thune, R-S.D. and would impose a lifetime ban on truck drivers who use a commercial motor vehicle to commit a felony involving human trafficking. The second bill, The Combating Human Trafficking in Commercial Vehicles, S1536, was sponsored by Sen. Amy Klobuchar, D-Minn. and would designate a human trafficking prevention coordinator within the Department of Transportation. Both bills were approved by unanimous consent in the full Senate and will still need to pass through the House before they become federal law. “The Senate’s passage of these bipartisan bills is an important step in the ongoing battle against human trafficking. These bills create a commonsense consequence for egregious wrongdoing and serve as a starting point for better recognition and reporting of human trafficking by commercial drivers,” Thune said in a public statement. Last week another bill was introduced in Wisconsin by Rep. Joel Kleefisch and would require technical colleges and licensed commercial driving schools to educate drivers to look for the signs of human trafficking as a requirement to get their CDL. "Human trafficking is a massive problem in Wisconsin. With proximity to Chicago and being in the middle of the country, Wisconsin is a hub for human trafficking," Kleefisch said. 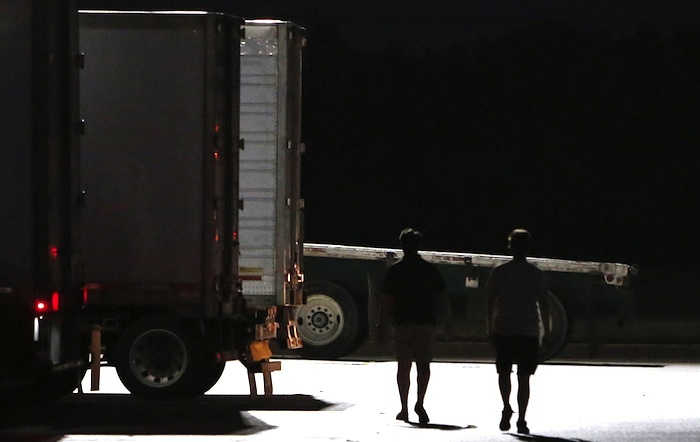 "Truckers travel this country, they stop at the truck stops that are often where human trafficking takes place. If they know the signs and they know how to get help to those being trafficked they can be a front line tool ending this abhorrent practice."